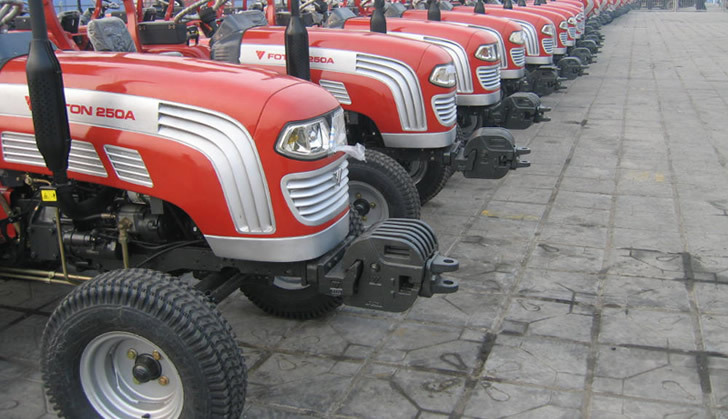 MUTARE's vehicle assembling firm, Quest Motors, has started manufacturing its first line of Foton Tractors, with a target of increasing its capacity utilisation currently hovering below 10 percent. Quest Motors operations manager Carl Fernandez said the firm had the capacity to produce 23 000 tractors per year and 105 vehicles per day. The firm currently holds a franchise to manufacture various Chinese makes such as JMC, Foton and Chery. Fernandez applauded Government for the recent positive initiatives to boost the local manufacturing sector, particularly the vehicle assembling firms. This come in the wake of a Mid-Term Fiscal Policy Review statement made by Finance and Economic Development Minister Patrick Chinamasa that government will increased the surtax from 25 to 35 percent on second-hand light passenger vehicles with effect from September 1. The minister highlighted that the focus of his fiscal policy review would be on reducing competition between imports and local products to help boost local industry. Fernandez, however, added that with the raft of measures in place to steer industrial growth, implementation from Government was key to yield results. "As the private sectors we are happy that policies and measures that encourage and support local industry are being put in place. "We should, however, take a leaf from South Africa's 1995 motor industry policy. "The result was a tremendous growth in exports and to date the motor manufacturing sector is a multi-million dollar churner and one of the largest exports earners for South Africa," said Fernandez. He said increase in capacity utilisation in the manufacturing sector was demand driven. According to the Zimbabwe National Statistics Agency in 2014, out of the 4 000 newly registered vehicles, 92 percent were imported by Government and the remaining 8 percent by the private sector. Fernandez said only 12 vehicles were bought by Government at Quest Motors. He urged Government to lead by example in the Buy Zimbabwe campaign.